Produced under 18 construction patents awarded from 1892 to 1905; A design patent was awarded on December 1, 1903. Handsomely figured golden oak or mahogany; Monarch Perfect Angle cushions. The 5×10 size is also available in 6 legs. 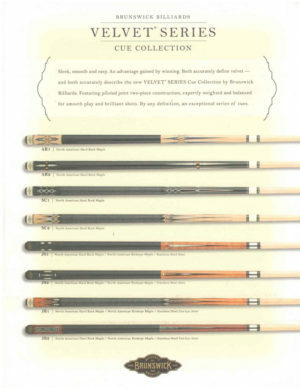 The nonpareil of high grade billiard and pool tables, equaled by few and surpassed by none in quality. 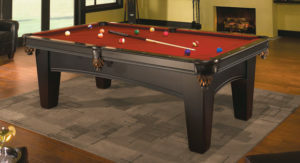 Of all the many elegant designs of high grade billiard and pool tables produced by us during the past 40 years, we consider the Warwick without a rival. It has a simplicity of design, gracefulness or outline and with all an appearance of massive solidity which embodies features of attractiveness that are absolutely unsurpassed. 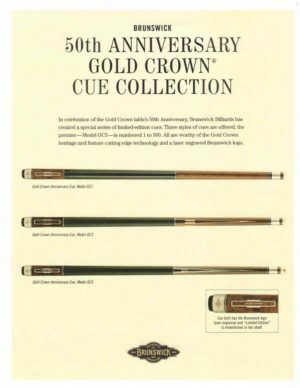 In point of construction and finish the Warwick ranks with the very best that can be produced in billiard and pool tables. The slate bed is best quality Vermont one inch thick, the sections being joined with brass dowels and sockets. No screw holes on the playing surface. Can be furnished with slate 1/2″ in thickness where desired, at a small advance in cost. The cushion rails are of extra heavy construction and firmly bolted to the slate bed. 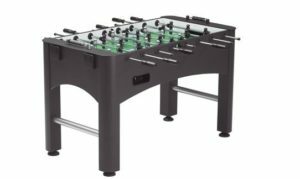 In all of our high grade tables, what is termed a “blind cushion rail” is made use of, that is the bolts holding the cushion rails to the slate bed are concealed by woodwork. This eliminates the cheap appearing ornamental bolt caps and gives greater weight to the cushion rail, which means better results from the cushions. The cushion rail tops are veneered with rosewood, which does not change color, cannot be easily disfigured with lighted cigars and does not have the objectionable features of a varnish finish.